The Sky-Dweller gets a lot of hate. To be honest, I get it. The watch is busy, more akin to a Breitling Navitimer or an IWC Chronograph than the highly functional and readable complications Rolex is known for. 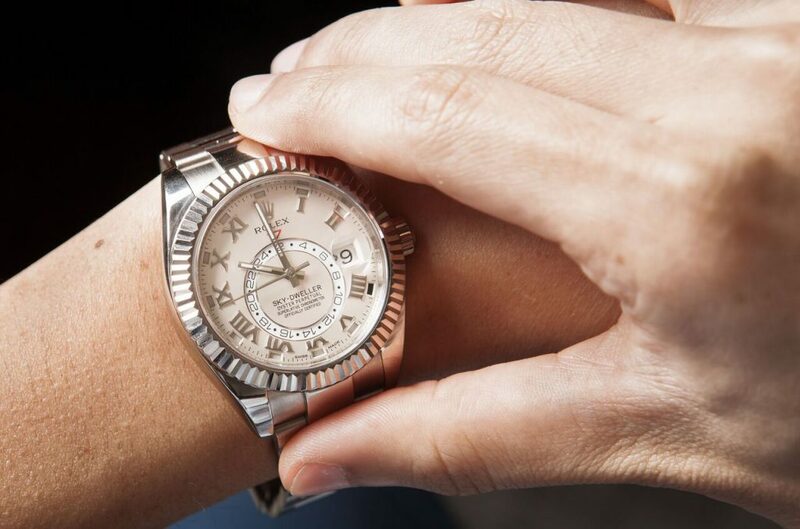 But here’s the thing – the Rolex Sky-Dweller is far and away the most technologically advanced watch in their arsenal. I could go on for days giving you reasons why you should stop hating on the Rolex Sky-Dweller, but for now I’ll give you four excellent reasons why you should show a little more love to this future classic. This watch is gorgeous. Plain and simple. The dial alone, although busy, is perfectly readable (unlike the Yachtmaster II). This is a tool watch at heart, but the understated elegance of this watch is remensiscent of a dress watch. And, even though this watch comes in at 42mm, it wears much more like a 40mm watch. This is arguably the coolest thing about the Sky-Dweller: the ring command bezel. That fluted bezel does more than just look good – shifting the bezel in either direction activates the watches functions. In this position, the watch is set. You cannot change the time, day, date, or the 24-hour GMT. When you rotate the bezel one click to the left from the 0 position, you can change the date. To set the time, first unscrew the winding crown and pull it out to the first notch. 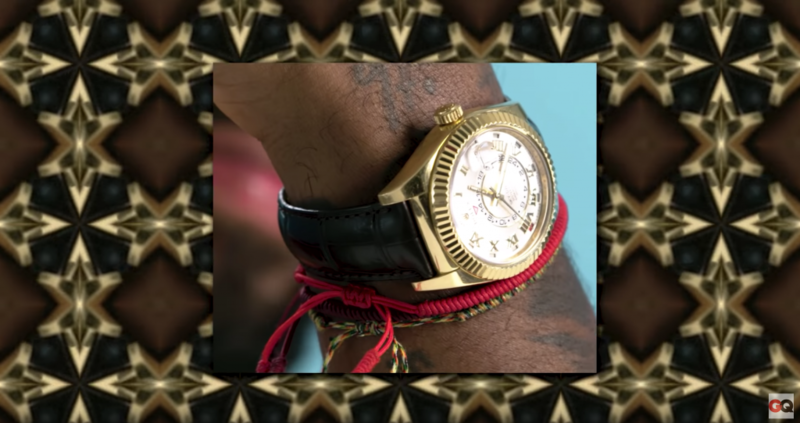 Turn the bezel all the way counterclockwise to position 2. Turn the winding crown in either direction and you’ll see the center hands and 24-hour disc move in unison. If your home time zone is PST and it’s currently 6 pm. Turn the crown until the center hands show 6 o’clock and the inverted triangle above the disc points to 18. To set the date and month, turn the bezel to the 2 position. Turn the winding crown in either direction and the date in the 3 o’clock window will change accordingly. Also note that if the date goes past either 30 or 31, the color of the month window will also change. Keep turning to reach the appropriate date and month. The metal options available to Sky-Dweller alone are a huge reason why it deserves your respect. Until recently, the Sky-Dweller was only available in highly precious metals. 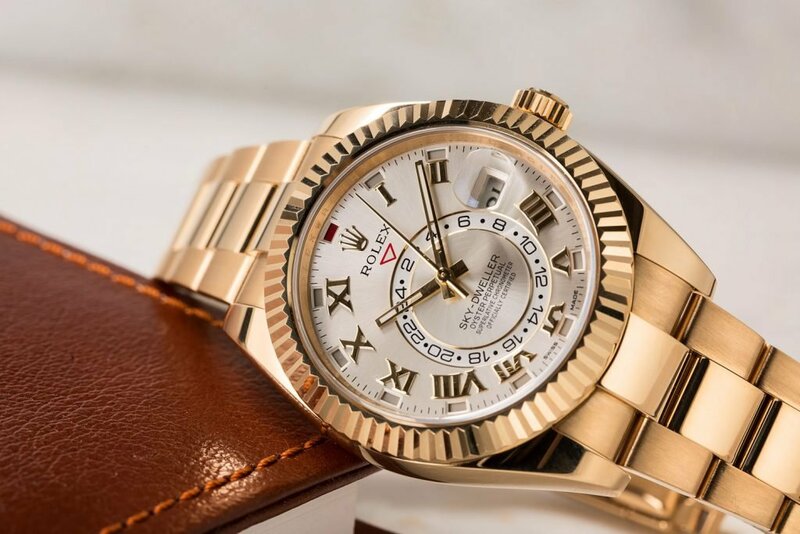 But, when Rolex rolled out the stainless steel Sky-Dweller, the pricing dropped significantly which makes this one of Rolex’s more approachable models. 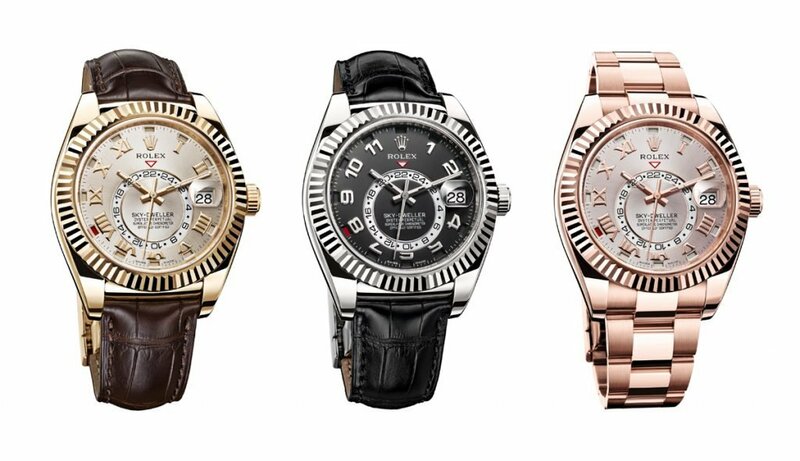 The Sky-Dweller comes in a variety of metals, including gold, white gold, Everose gold, stainless steel, and two-tone. 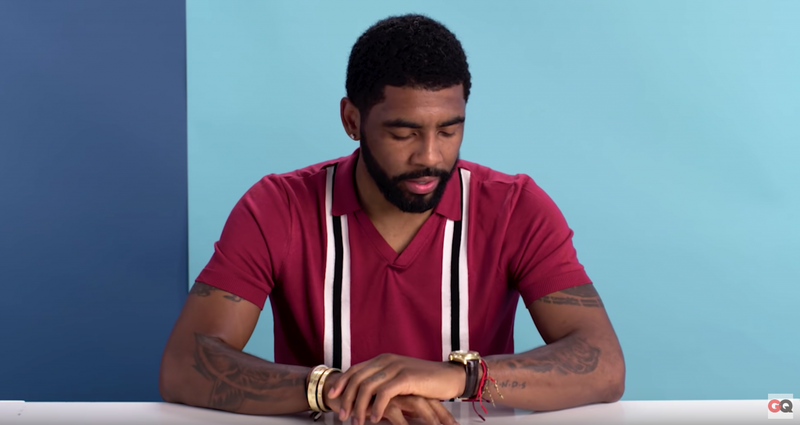 Kyrie Irving wears a Sky-Dweller. Point made.